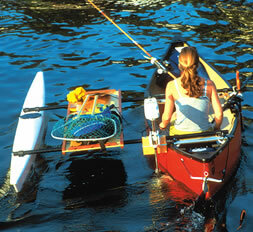 Please call and let us help you customize your Easy Rider sea kayak or canoe. 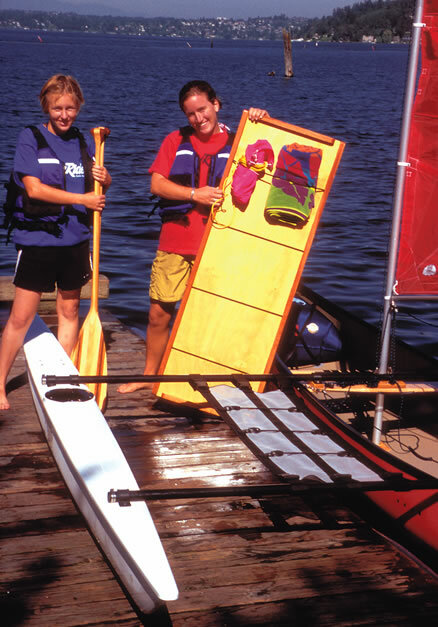 An outrigger transforms any paddlecraft into a stable, almost untippable platform. A platform to which you can attach performance Airfoil Sails. A platform from which you can fish, swim, snorkel, sunbathe. A platform which provides immeasurable security when long crossings take you miles from shore, squalls surprise you out in open water, or rip tides froth at your boat. Extra-strong poles anchor the outrigger to special outrigger thwarts. 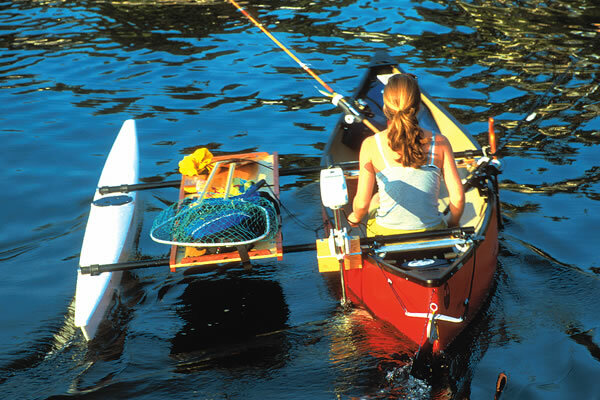 It only takes minutes to attach an outrigger to your Easy Rider canoe. 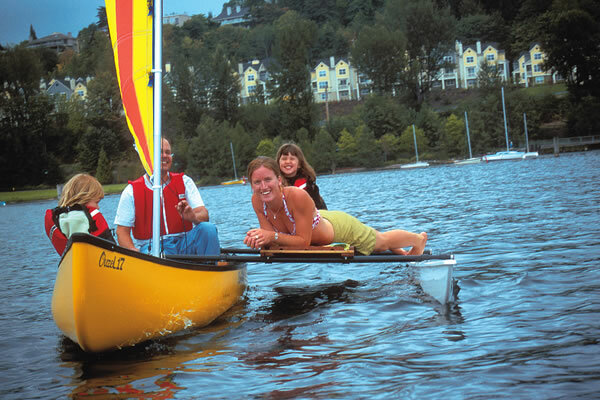 4.5-foot Outrigger, Single-Pole Version. A popular stabilizer for any paddlecraft. 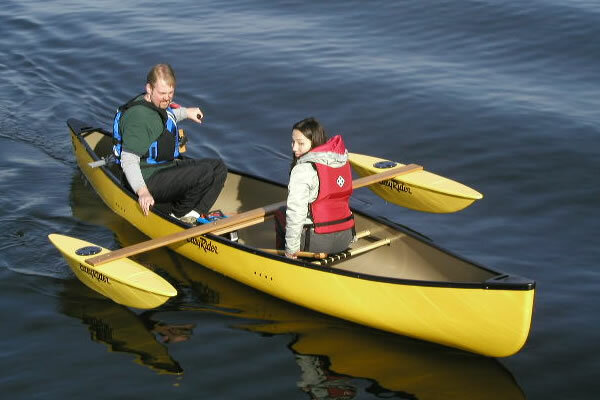 The outrigger arm attaches to the canoe (behind the bow seat). It is made of 1 x 4.5 x 8 select-grain wood. Offered factory installed or for easy self-installation. 10-foot HV Outrigger. 182 pounds of buoyancy provide excellent stability for fishing, swimming, or for sporty sailing with our 32 sq. ft. Airfoil Sails. Requires factory installation of Outrigger Prep. 12.5-foot HV Outrigger. 220 pounds of buoyancy! 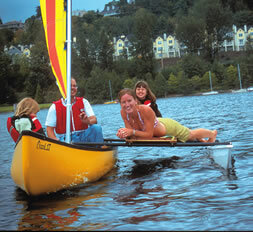 The most popular outrigger for all-around family use. 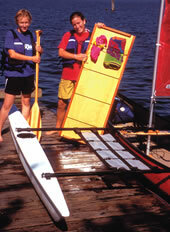 Attach it to your canoe, add a rigid platform, and you have a rig for scuba diving, snorkeling, sunbathing... The outrigger of choice for carrying a companion on the rigid platform. between the outrigger poles -- it'll stay firmly in place.